It’s been a very busy week here at Chinavasion, with everybody getting ready for the Chinese New Year break, I hope you are doing the same. We were also busy thinking about resellers. we put together Hot Dropshipper Tips For A Successful 2010 and we did a no holds barred review of Magneto. I have a video that shows a problem of something I bought from you, how can I get it to you? Just as we said previously putting videos on YouTube is not the best way to get a video to us. Videos Via GmailWhile email providers won’t allow you to send files larger than 25MB it is still possible to compress it by using WinZip or RAR and then attaching it that way. You can then email the file to chinavasion.com@gmail.com. 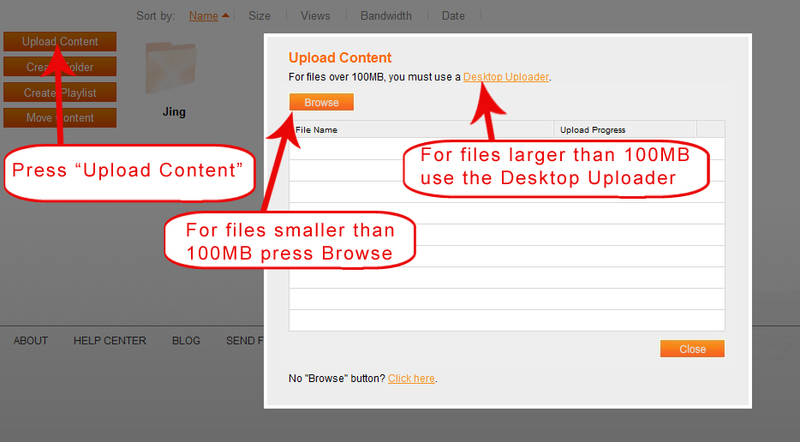 Videos Via MegaUploadMegaupload.com offers a free file sharing service. You have to become a member to use the upload function but there is a free membership option with 200GB of online storage available. 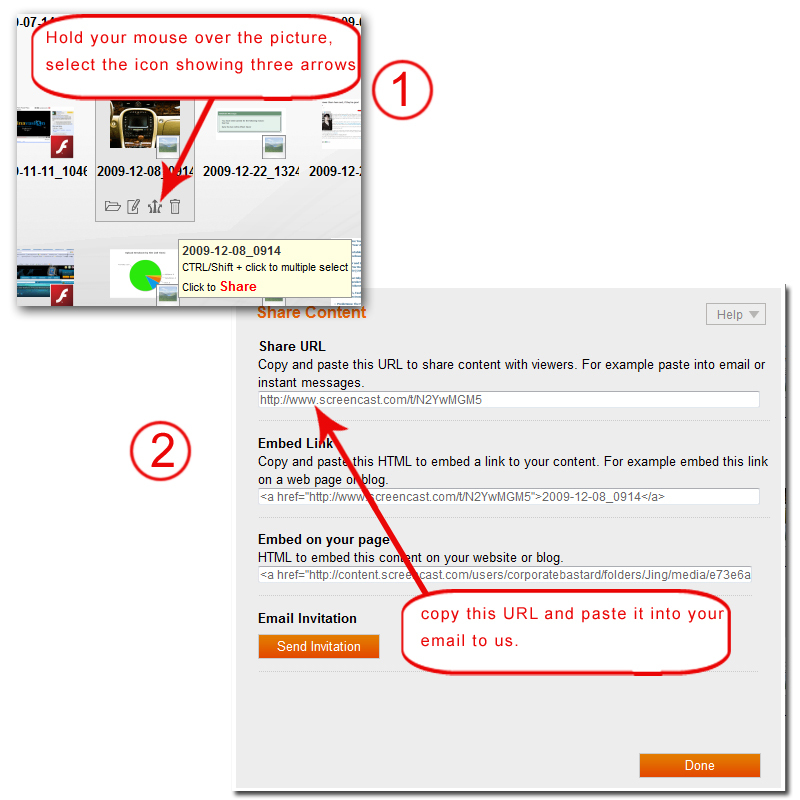 If you’ve created a Chinavasion account before you’ll be able to set up a megaUpload account without too much difficulty. And once that’s done the upload procedure is a fairly easy one. There’s a picture walk through below (just click on a picture to make it larger). Just make sure that you address the email to and, in the box beside the SEND button, be sure to include your order number, the product code and the fault E.G: Order Number 5401 CVDX-M45 faulty screen. Videos Via DropboxDropbox was the darling of Technorati and online workers alike due to it’s ease of use and fairly stable nature. Essentially it allows you to share folders with certain people and also give URLS of videos that you can send to us. Videos Via ScreencastScreencast.com operates a lot like Megaupload.com. By uploading a video via one of these channels you will be surprised how quickly and easily your problems can be solved. And, you never know, you may find other uses for these services. Email us these details at , in the majority of the case we can solve the issue by email without having you to return the product. We will answer within one working day. If we need product back here in Chinavasion, we will allow you as the reseller the Return Merchandize Authorization (R.M.A). Do you have any items that we can list for Valentines Day sales? This year we do indeed have several items that are perfect to list for Valentines Day sales. And while we will be looking at this more in detail on Monday it is worth looking at now. 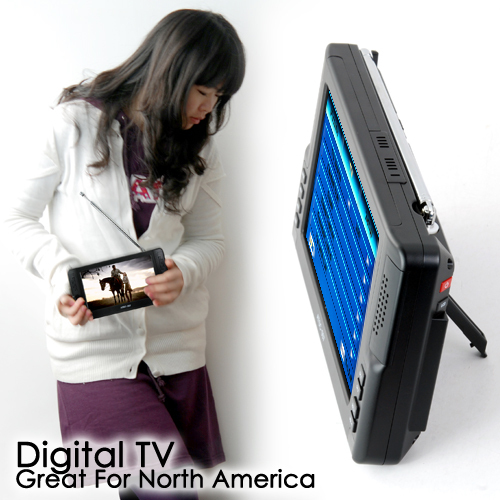 ATSC portable TV receiver, don’t miss out on the Superbowl game just because you’re stuck at work! Super Radio (Streaming Internet, DAB+, iPod/iPhone Dock) [CVNA-E63] You’ve probably heard of Digital television. Now welcome to the world of digital radio. Digital radio opens up a whole new world of audio entertainment and the Super Radio brings digital radio and internet signals right into your living room. No it’s easier than that. Register all your favorite radio and podcast stations at wifiradio-frontier.com. The Super Radio wirelessly connects with wifiradio-frontier portal server, and allows you to choose and listen to whatever internet streaming radio stations you have listed there. It’s especially good. Perfectly written English. Good grammar. Clear instructions with diagrams. Copywriters were brought in for this project. If you’re using it yourself, you’ll love it. If you’re reselling it, your customers won’t have a problem with the setup or bother you with questions. Plus The Super Radio is pretty intuitive to use anyway. We like most radio stations on shoutcast.com, Live365.com, di.fm, sky.fm. Soma.fm is especially cool if you’re into eclectic. Enjoy. Hi friends, I have no problems with any product ok? I will be a store, and my provider Chinavasion be ok? I need is to send me the details of your policy of drop to put in my shop ok? 3 – a brief summary of the guarantee of Chinavasion. is to place it in my shop and customers to read. I hope that on this occasion you shall have understood me. It’s just that I find difficult to read in English and your policies are very extensive for me to understand ok? MI WEBSITE NO ESTA ACTIVA AUN YA QUE ESPERO QUE ME AYUDEIS A COLOCAR EN MI TIENDA VIRTUAL LA POLITICA DE DEVOLUCIONES GARANTIA, Y DEMAS, PARA QUE MIS CLIENTES PUEDAN LEER Y QUE PUEDAN SEGUIR EL PROCEDIMIENTO EN CASO DE DEVOLVER UN PRODUCTO. USTEDES SERAN MIS PROVEEDORES . ESPERO QUE ME HAYAIS COMPRENDIDO.